Target has been hacked. Neiman Marcus has been hacked. The Arts and Crafts supply chain, Michaels, has been hacked as well. Where does that leave me? Where am I in this story? Aren’t I important enough to be hacked? It seems to be the new indicator of social significance. If you have not been hacked you must not be very rich or very important, as perceived by hackers. Am I to renew my adolescent insecurities at this stage of life just because I have been passed over and ignored by this elite group of computer experts? It is beyond insulting. And it is not for lack of trying; I have googled “Hackers’ Union” to no avail. I’ve tried “Hackers’ Annual Conferences,” only to score another failure. “Hackers’ Anonymous” revealed nothing. Should I hire a private investigator to pry into the secret society of hackers? Now that I think of it, how did the federal Government find out the whereabouts of speakeasies in the days of Prohibition? Those techniques might work now, in the 21st century. If I were to be hacked would newspapers write about me and give my blog and book free publicity? On the other hand if I were to be hacked, would my credit card purchases be made public? Would my husband find out how much I spent at Bloomingdales last December? Would Aunt Gertrude discover that I bought her gift at a bargain basement sale and saved fourteen dollars and sixty six cents? Would she then know what I think of her by the amount I spent on her gift? This hacking and revealing of personal information might be more troublesome than I thought. Perhaps I am better to remain unanimous and allow the professional hacking experts do their job without my interference. 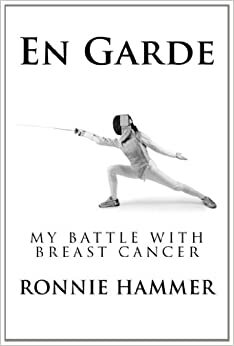 But if they’d like to give a favorable review to my book, “En Garde” I wouldn’t object. I heard a woman yesterday lamenting about getting hacked at Target. She said she never shops there, except one day when she spent $10.00 on diapers and that’s all it took! Yup — not a club worth joining. And I think if I were h*&#ck*d I might not have enough personal info on anyone that media would pay attention anyway! Yes,but what about all the secrets in your closet that you don’t want uncovered? I’m amazed by hackers. Remember when they broke into the Pentagon’s internal computer system? I’m always a little surprised when I can open up my own email. You and who else is opening your email? Yeah, well – we’ve ‘conquered’ all the planet’s physical frontiers. Cyberspace is the newest frontier to conquer, it seems. Ergh. So hackers are the new pioneers? I rather liked the ones in covered wagons. When my students were discussing career interests, one asked me what I wanted to be. Without hesitation, I said: “ninja hacker.” He doubted there was such a field and I assured him that it was a very lucrative position and very much in demand. Little did I know about all the up and coming security issues at major stores. Seriously, I discovered that there is very little about us that is private. Much can be had on line … for a price. Well then, we’d all better behave ourselves so our reputations aren’t shared with the world. So glad you’ve not been hacked. Seriously. How’s the book going. I shared. I shared. Great idea: I nominate you for President! Since there is truly no privacy left, we have to discover a better way to get your new book publicized! That’s what blogging friends are for…thanks, Roger it’s so nice to know I can count on you. I agree. I just had two attempts to use first my bank card and then a credit card. I kept thinking it was because I regularly go to Target. That sounds like a plausible explanation; do you realize that when we were children there were no such things as credit cards? Purchases were made either by cash or check. Maybe they coul djust hack the information about your new book. That would be great! A really important question I have, Ronnie, is about being hacked but from a different perspective. Since these stores have been hacked, if you were a customer, then you were hacked… If this is the case, logic tells me that it is the responsibility of these stores to notify people affected that their information was stolen (and not by a tv news broadcast). I could go on about this for hours, but I think you know where I’m headed with it…, right? Something everyone should think about in this credit card world we inhabit. I used to think it made more sense to use credit cards because they offered benefits like “cash back” or points for airline miles or hotel rooms. But it has become almost impossible to claim those rewards and I am seriously thinking of canceling my cards. But I don’t like to carry large amounts of cash around, and some places will not accept personal checks. So we almost have to use credit cards. I don’t think this is a club you want to belong to! I don’t want to join that club: just to find out who their members are.